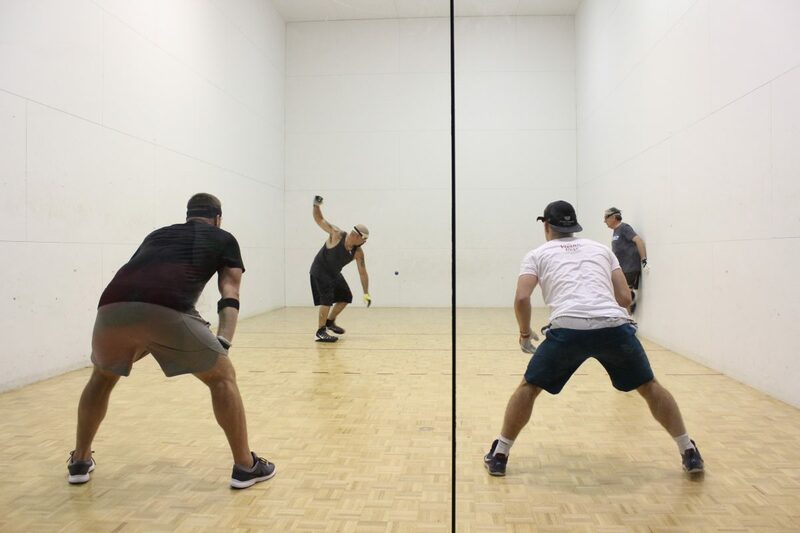 The 4th Annual Hood River Invitational was held on June 1st – 2nd at the Elks Lodge in Hood River, Oregon. 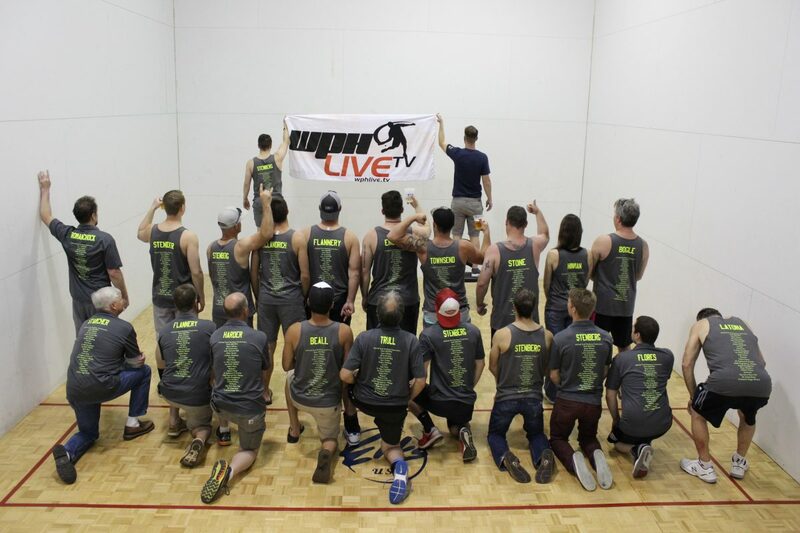 Over 40 players from all over Oregon and Washington, as well as California and Nevada travelled to Hood River to play handball, to enjoy the town, and to come together to support an incredible cause. 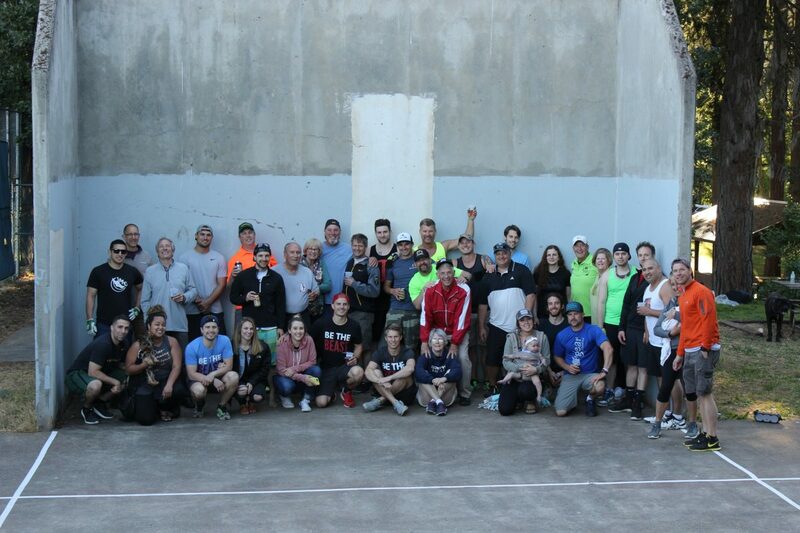 Players and fans rolled into the destination city on Friday afternoon for some outdoor games. 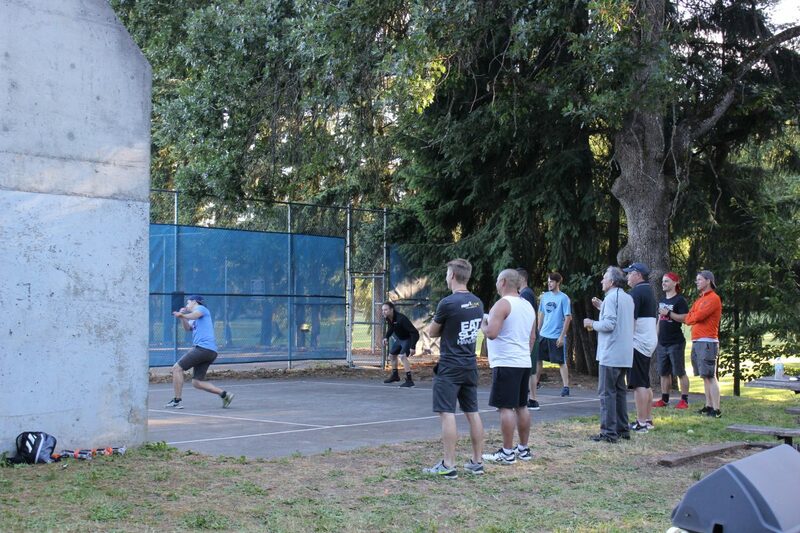 A number of participants opted to start off with a round of golf at the Hood River Golf Course, but the majority of players stormed Oak Grove Park to kick start Oregon’s annual outdoor one-wall season. The weather was absolutely perfect and the players kept both courts occupied all afternoon. The Stenberg family provided a great hot dog barbecue and picnic, and the evening capped off with an hour-long 7-on-7 sand volleyball game. On Saturday morning the four-wall portion of the event began with a touching performance of the national anthem by Kyle English. In the Division 2 bracket, 8 teams completed a total of 16 matches which led to a very unique final matchup: father-daughter pair Dale and Jennifer Hinman matched up against mother-son duo Helen and Brian Stenberg. Team Stenberg proved to be the slightly better pair on the day, defeating Team Hinman in two very close games. The Division 1 bracket saw 12 teams complete a total of 24 matches, which also led to an interesting bracket of semifinalists. The top half of the bracket saw defending champion Kyle English and his partner Henry Stender matched up against #1 seeded WPH R48 Top 8 pro Vic Perez and partner Nate Boyden, while the bottom half of the bracket saw two 40+ pairings matched up, with Tom Stone and Adam Bogle taking on Troy Peterson and Andy Romanchock. 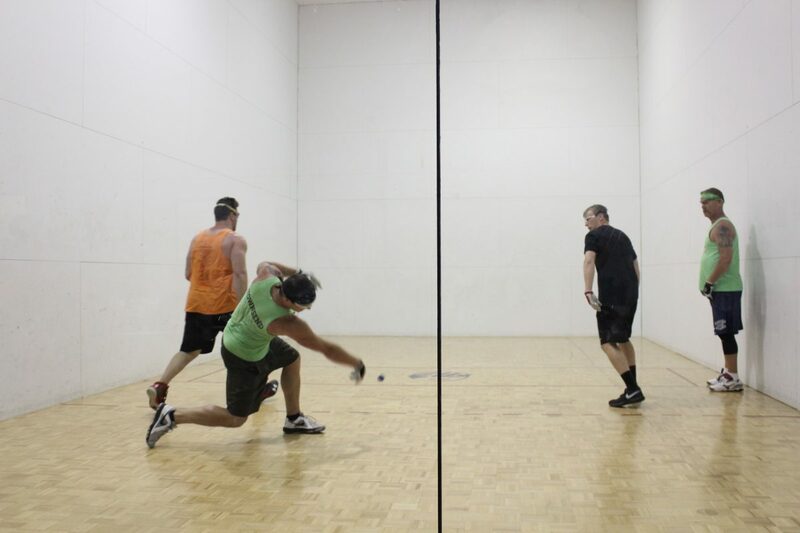 On the top half, Perez proved to be too much for English/Stender to handle, as Perez/Boyden rolled to the final. On the bottom half, Peterson/Romanchock squeaked out a close win to advance to the final over Stone/Bogle. Though outmatched by a top 8 pro, Peterson/Romanchock put up a good fight, coming within 2 points of forcing a tiebreaker after dropping the first game 15-8, but Perez put his foot down and began shooting the ball, running off a number of consecutive points and passing Peterson/Romanchock to take the second game 15-13. After the on-court action, players, family, friends, and fans gathered in the banquet room to eat, drink, celebrate, and most importantly, to hear the story of Vivian Rose Weaver. Vivian Rose is a 4 year old girl from the Hood River area who was diagnosed this year with DIPG, an inoperable form of brain cancer. DIPG diagnoses are regarded as terminal, as there is no known cure at this time. However, there are experimental treatments that Vivian Rose has been able to take part in, giving her supporters hope that she can Defeat DIPG. Her parents started the Vivian Rose Weaver Defeat DIPG Foundation with the goal of raising money for DIPG research, as well as raising awareness about the disease. 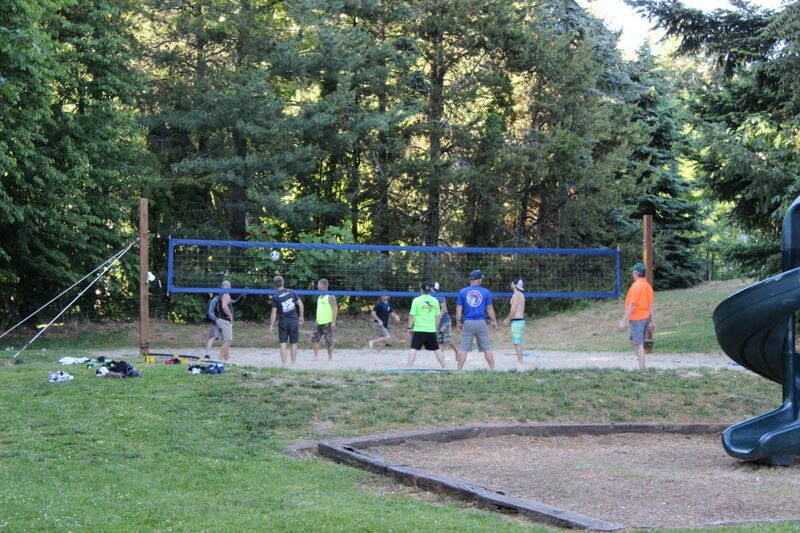 Through entry fees, sponsorships, raffle ticket sales, and individual donations, the 2018 Hood River Invitational was able to raise over $5,000 for the foundation. If you would like to learn more about DIPG or join the fight to Defeat DIPG, please visit https://vivianrosedipg.org/. 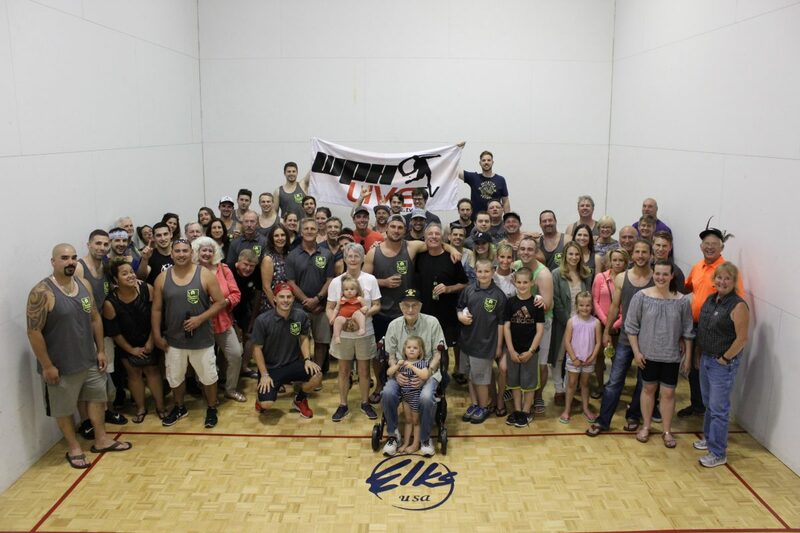 A heartfelt ‘thank you’ to the Hood River Handball Association, the Stenberg Family, the tournament sponsors and participants, and the World Players of Handball for making this tournament possible.